In the study of forms of legal reasoning, logic and argumentation theory long followed separate tracks. `Legal logicians' tended to focus on a deductive reconstruction of justifying a decision, disregarding the dialectical process leading to the chosen justification. Others instead emphasized the adversarial and discretionary nature of legal reasoning, involving reasonable evaluation of alternative choices, and the use of analogical reasoning. Recently, however, developments in Artificial Intelligence and Law have paved the way for overcoming this separation. Logic has widened its scope to defensible argumentation, and informal accounts of analogy and dialectics have inspired the construction of computer programs. Thus the prospect is emerging of an integrated logical and dialectical account of legal argument, adding to the understanding of legal reasoning, and providing a formal basis for computer tools that assist and mediate legal debates while leaving room for human initiative. This book presents contributions to this development. From a logical point of view it covers topics such as evaluating conflicting arguments, weighing reasons, modelling legal disputes as a dialogue game, the role of the burden of proof, the relation between principles, rules, reasons and facts, and the relation between deductive and nondeductive arguments. 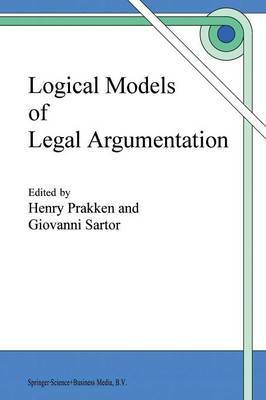 Written by leading scholars in the field and building on recent developments in logic and Artificial Intelligence, the chapters provide a state-of-the-art account of research on the logical aspects of legal argument.